Usually it was either Sci-Fi or Dystopian but Flip by Martyn Bedford and Divergent by Veronica Roth changed that for me for both genres! I'm still a little hesitant with Sci-Fi but I won't completely write it off now. 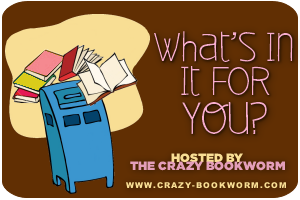 Q: Comfort Reads: Which books do you go to for comfort & familiarity? Is there a type of book you seek out when you're needing that extra bit of comfort in your life? This is easy for me...Nicholas Sparks! His book are my comfort books. I know some people find him too sappy and/or sad, but I just adore his books and always go for them when I am in a reading slump or when I just want to revisit some of my favourite characters! 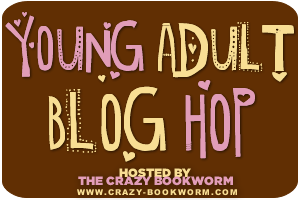 and stop by on Monday's to link your blog in the Young Adult Book Blog Hop! I don't mind dystopian but I'm picky about sci-fi. Old follower stopping by. I think Sci-fi really depends on the type that you pick up, I'm extremely picky about it. I don't like the ones that get way too technical and I feel like I'm reading a textbook. But on the whole I usually enjoy most of the sci-fi books I pick up. I'll be honest, I don't really get Nicholas Sparks. Most because I feel like his books are too predictable and I get bored. But, I loved "The Wedding" and I've read it multiple times now! Oh Nicholas Sparks. Though I do feel that his books definitely follow the same pattern, I enjoy re-reading them as well. I just love his characters a lot! I love sci-fi & dystopian! I loved Divergent - and Nicholas Sparks too. My comfort reading genre would be fantasy, or romance. Hopping through. I've only read a few Nicholas Sparks books. I should read more. They are a lot of fun and comforting.